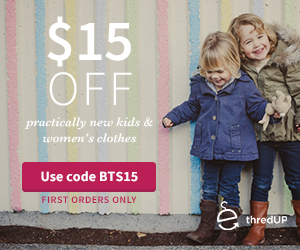 You will receive $15 off your very first purchase on thredUP.com. The promotion will be running from today, August 7 through Friday, August 9 at midnight PST. Kids really enjoy all these things.Nice to see your site. Thanks!